In this post, i will be showing you a step-by-step method on how to flash the custom rom of a mediatek, MTK device. You might be asking what are MTK or MediaTek devices, well some of us know what they mean for those who don't know, MediaTek, MTK devices are android smartphones such as the Techno, Infinix, Gionee, Innjoo, Itel, e.t.c All this devices highlighted are known as MTK devices. 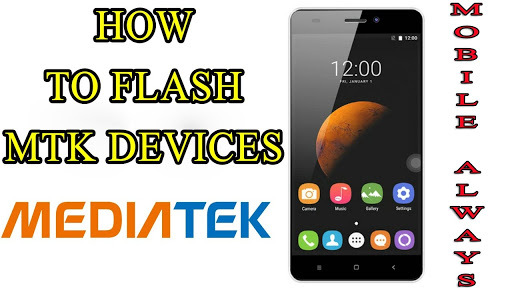 There are various ways in which a devices Stock ROM can be flashed but the method i will showing you here is a very easy method and this method requires the use of SP Flash Tool. SP Flash Tool is a friendly to, a PC software, that is perfectly designed for MTK devices. It also to flash the Stock or Custom ROMs of various MTK devices and it is also used to update the firmware of such devices too. This tool supports unbricked and bricked phones, custom recovery, flashing of stock and firmware update. Some materials will be needed to use this tool along with, and i will be providing the download link for all the materials required. 4. A Laptop or Desktop is required. 5. A very good USB cable, which is used to connect the PC to the phone or vice versa. When you are done with the requirements, please note and follow the Disclaimer below, it is very important. Disclaimer: Please, do not flash another preloader and DSP_BL blocks! It is always dangerous! For some phone models, you will have it bricked and even when you download, these blocks read from a phone which you own! Always remove from them marks in SPFT! ALWAYS have a working backup of your original ROM before you flash a new unknown ROM. Note:- I will take no responsibility for any harm done while attempting this! So Please Beware and Careful. Below are the steps you mist follow to flash the ROM, please follow this steps carefully. 1. Switch Off your phone completely and if possible remove the battery, for devices with inbuilt battery, you can skip this first step. But switch off your phone. 2. While the phone is still off, Try connecting and reconnecting the USB cable to the phone, Your PC should pop up a Window installing the MTK65XX preloader drivers, though this happens when you have installed the MTK preloader USB Drivers correctly on your Computer. When the Drivers are fully installed, completely, disconnect the USB from the computer. 3. On your computer, extract the SP Flash tool and then launch it. 6. Now locate the Scatter File in the backup or ROM of the phone you downloaded. The file is usually a text file.NOTE:- Always only load a ROM that is 100% made for your phone, flashing a wrong ROM may make your phone non-bootable. 7. Now Click on the "Download" button for SP Flash Tool to now begin the flashing process. 8. Connect back your smartphone to the computer with the USB. Then now Press Vol Down or Vol Up key so that the Computer can now detect your phone. 10. 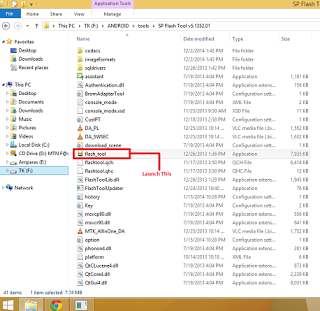 Now, close the SP Flash Tool and thendisconnect your phone from the computer. That’s all, and Congratulations your device is now flashed with a new Stock or Custom ROM. If your phone bootloops, remove battery and boot into recovery mode. Then select Factory reset. Hope this Helps! Make Sure You Share This Post With Friends!